It's hard to imagine that the new Tourismo, will not be a best-seller in the UK, but what of its performance on the road? 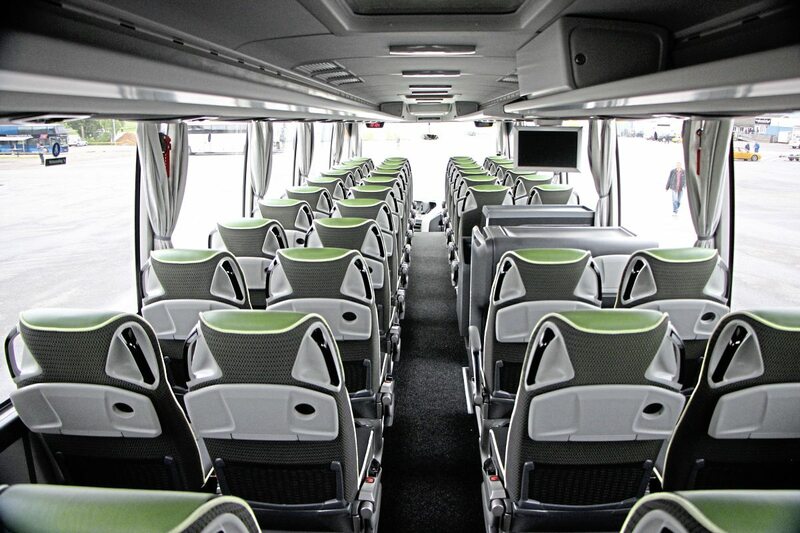 Yet to be seen at a major exhibition having been launched in Brussels during June, the Tourismo is the Mercedes-Benz coach for the future, supplanting not only the existing Tourismo range but also the top of the range Travego. It is offered in four variants, all of which are also available in right-hand drive, the first time that this has been the case. 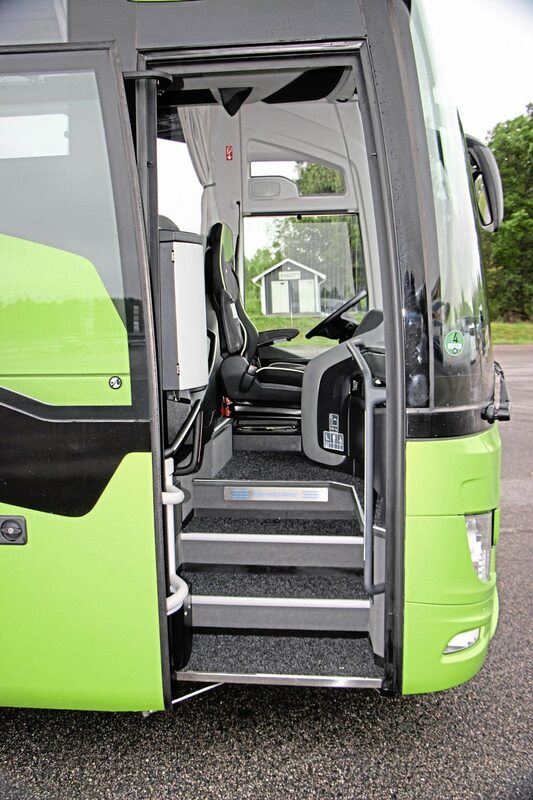 On two axles are the 12.295m Tourismo and the 13.115m Tourismo M/2, while on three axles are the 13.115m M/3 and the 13.935m Tourismo L. Interior specifications, which can include all manner of extras, are designed so that the standard can be added to or subcontracted from to match the coach to its usage. 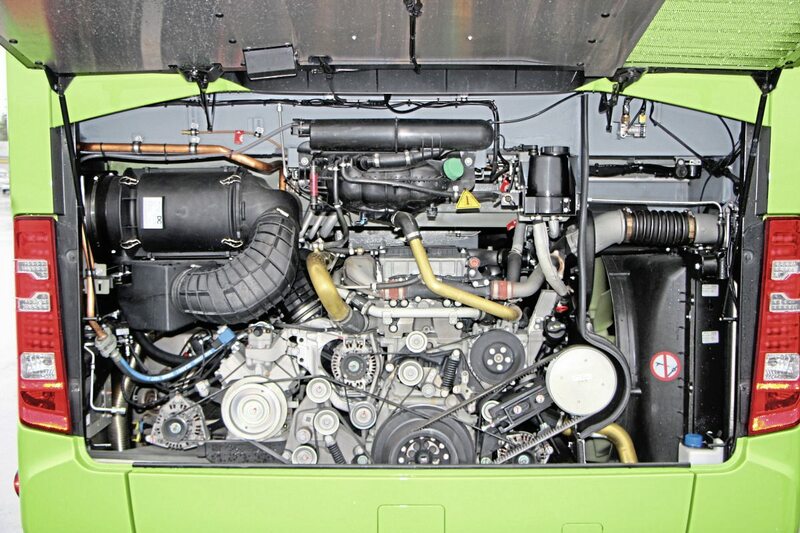 We already have the OM470 engine but a new option for those who might previously have bought Travego is the 456hp/335kW option. 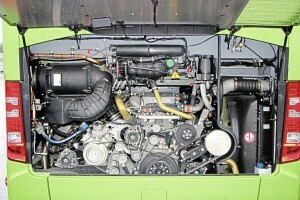 Completely new for Tourismo is the option of the smaller 7.7-litre OM936 six-cylinder unit. 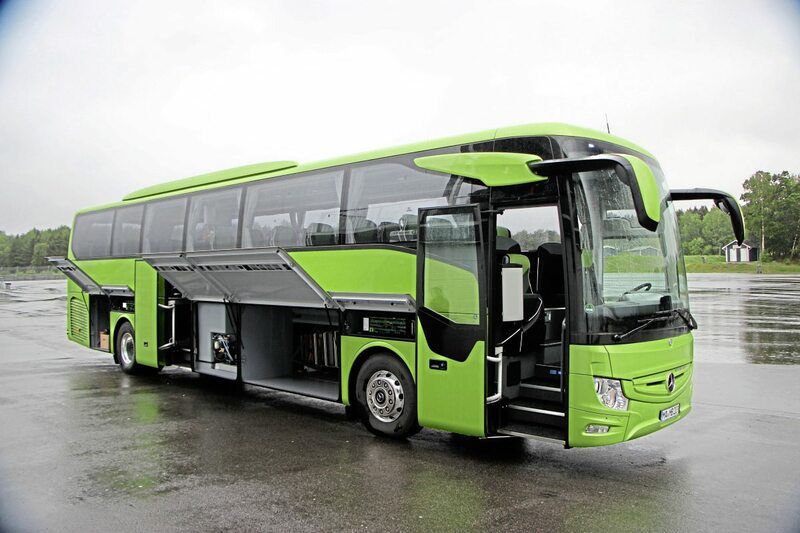 Incidentally, I was told that OM936-powered units are expected to only make up around 8% of sales based on experience with Setra, although the UK is expected to be more receptive to the concept than some other markets. 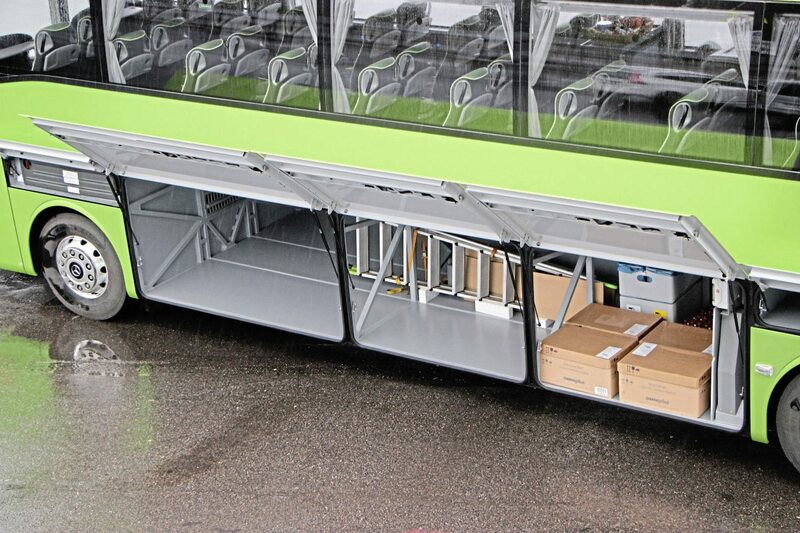 In designing it, Gustav Tuschen, Daimler Buses’ head of Product Engineering, said that the targets had been to improve total cost of ownership, add value for passengers through increased safety and comfort and add value for the driver through additional assistance systems and a choice of two cab layouts (there are actually three, that for the UK is different again). Described by the company as ‘brand typical,’ the look is different to the previous generation but not radically so, though it is far more aerodynamic with covers beneath the coach front which, with overall weight reduced by 200kg, flat-blade windscreen wipers, the latest engines and a feature that automatically reduces the ride height at speed, generates a fuel saving of up to 7%. Lengthy service intervals of up to 120,000km are another ‘plus’ for operators. 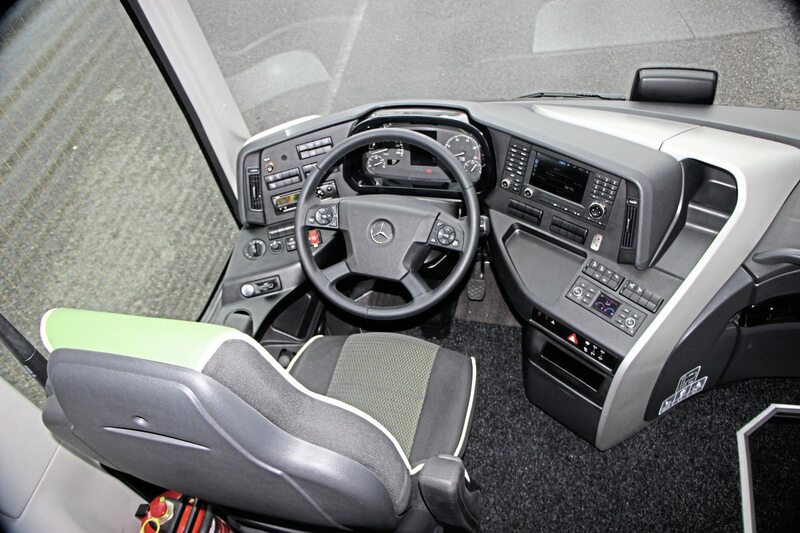 Further TCO benefits derive from the use of common parts where possible, with the front lights coming from the Actros and the rear units from the Citaro. 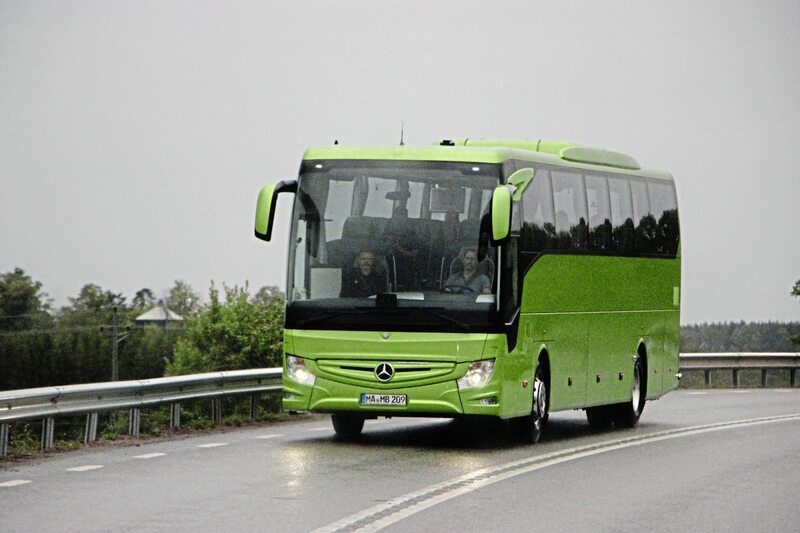 All of the different brands are hot on safety and Mercedes-Benz is probably the hottest, introducing its systems on to its coach range as soon as they are fully developed. Additions to the long list of systems are Attention Assist and Stop-and-Go Assist as well as a further major advance in braking technology. 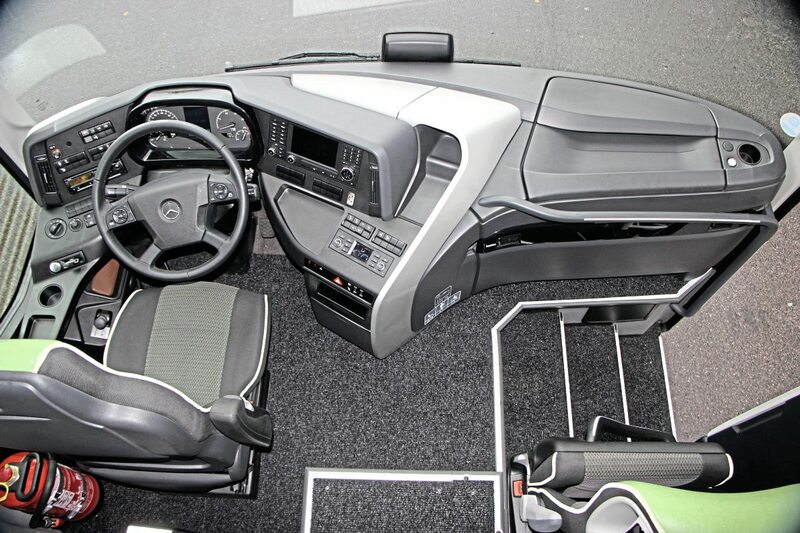 Although it will not be standard on production coaches until February next year, the coach entered was one of the first to be fitted with Active Brake Assist 4 (ABA4), a different version of which is already standard on the Actros truck range. It further develops the capabilities of the ABA3 system and can now identify pedestrians and brake to avoid or reduce danger to them. 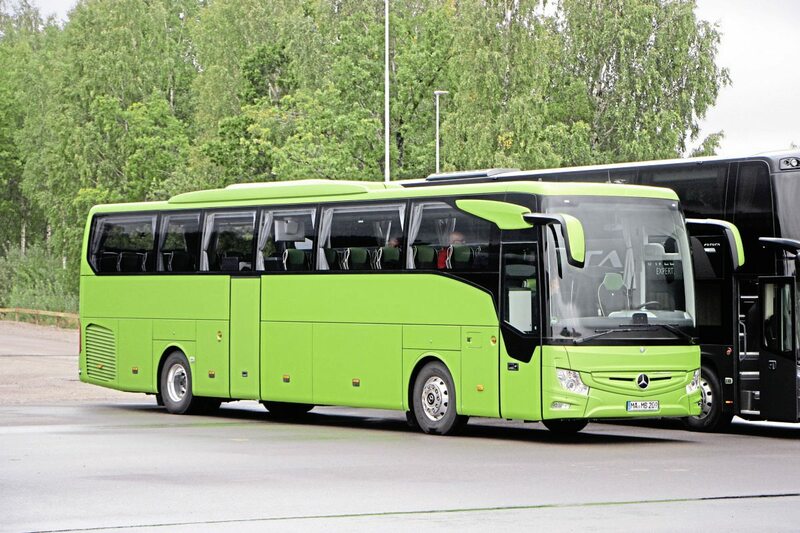 This feature gave the coach the edge in the safety stakes over its fellow candidates, though safety is not the only thing operators and drivers look for in a coach and few passengers are aware of the relative safety attributes of the vehicles they hire. The Tourismo’s performance during the acceleration and braking tests was interesting. Accelerating it took considerably the longest to get to 80kmh if the kick-down was not used at 38.6 seconds, but when kick-down was deployed, it took only 26.5 seconds. 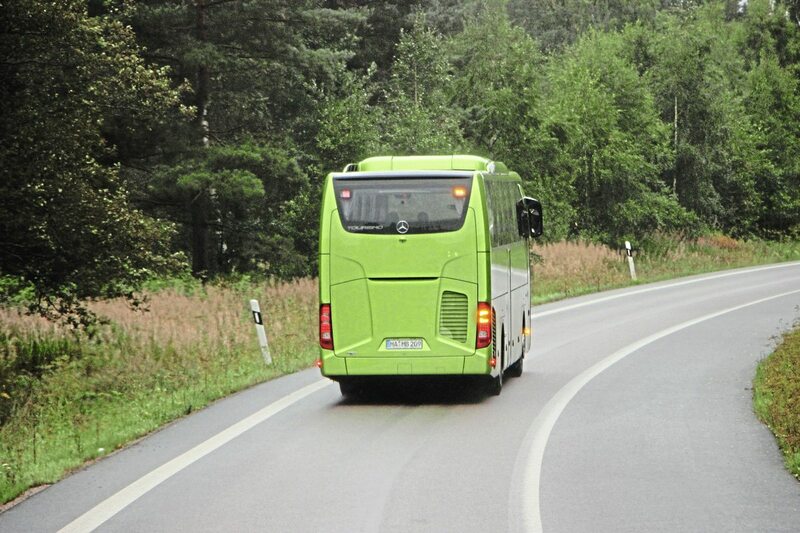 Braking from 80kmh to zero it recorded the best result, though the Irizar i8 was only slightly behind it. 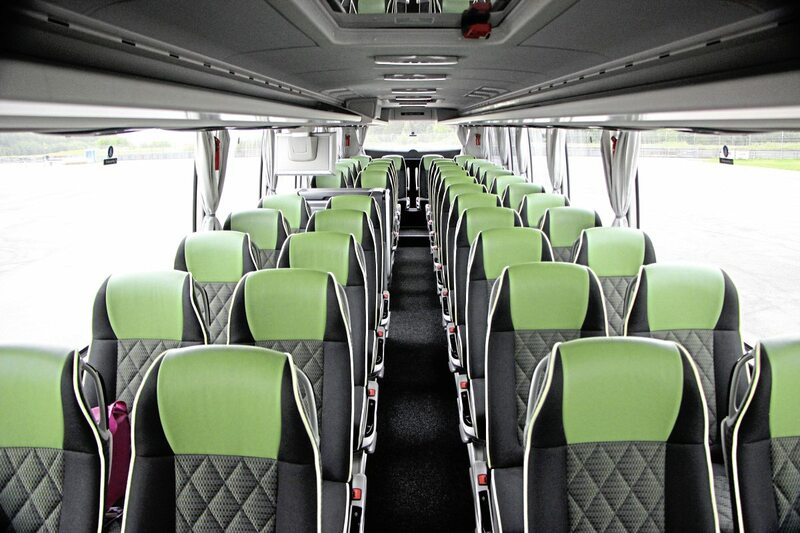 A noteworthy difference compared with the other coaches is the use of the Voith SWR water retarder. There were few criticisms of the driving experience and appreciation of the eight speeds of the PowerShift automated manual box which was not constantly changing up and down on roundabouts. On normal highways, the performance of the new flat-blade wipers was not as good as the conventional ones, failing to clear sufficient width of the screen, a point acknowledged by the Daimler team who promised to find a solution. Travelling at the rear of the coach, though it was quieter there was still vibration that could be felt through the seats which although relatively low-backed were comfortable. Internally the look is conservative and although it wasn’t my initial impression in Brussels, the unevenly placed individual lights units above the aisle looked dated compared with the diffused systems on some of the others. Wall-mounted USB points were useful but the very bright blue lights illuminating them were intrusive when travelling at night. 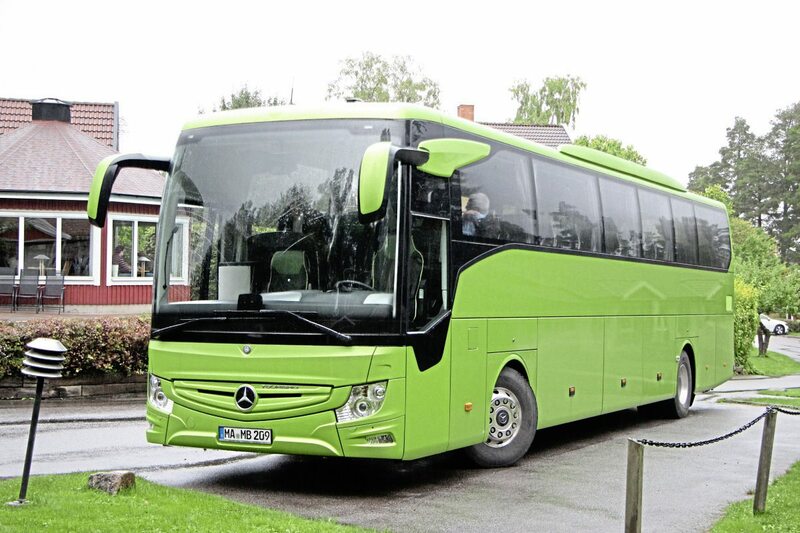 Summing up my fellow juror’s feeling, it is an honest coach offering unsurpassed safety that will sell in huge numbers, that drivers will enjoy driving and will prove economical but it is not a coach with a lot of emotion or wow factor.